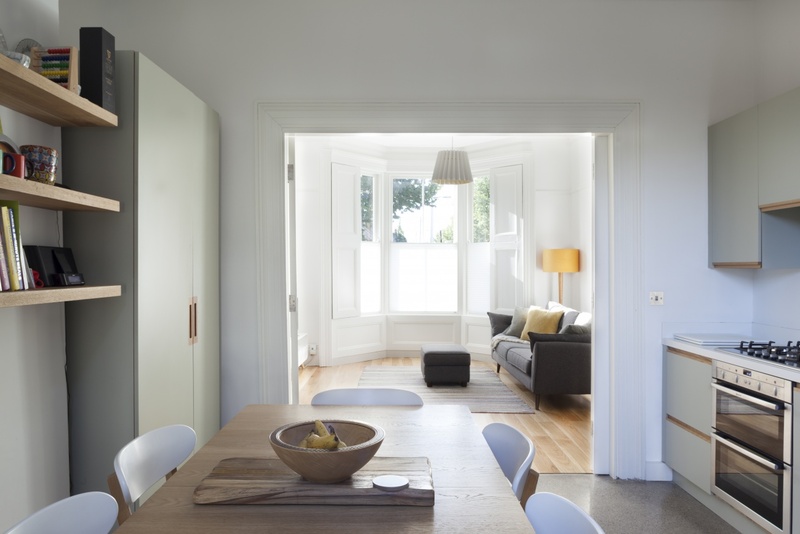 This project involved the complete renovation of a dilapidated Victorian, mid-terrace house in a conservation area in Portobello and the addition of a small extension. The key intervention was the addition of a roof above the rear return. This new roof mimics the strong form and material presence of the existing structure. The extension includes a new room added at the rear of the property with a courtyard and link space between the existing and new. Every aspect of the house has benefited from the involvement of the architects; we received excellent guidance through all stages. What surprised us during the process was how the design evolved to include our suggestions, ideas and requirements, it was not just ‘here is the design’. When I walk around my house now, I think the involvement of the architects was the best money ever spent. Our house is a great place to live; we love the sense of light and space as soon as you enter and throughout. It’s social and family-friendly; the kitchen is in the centre with views through the courtyard, allowing us to see our daughter playing in the garden whilst chatting to people in the living room. Everyone who visits loves the house; even our neighbour likes that they get to look at it! This is a project about the possibility of a roof. Lifting the new roof above the retained roof of the return creates a gap between the existing and new that brings zenithal light to the added accommodation of living room at ground floor and bathroom at first floor. 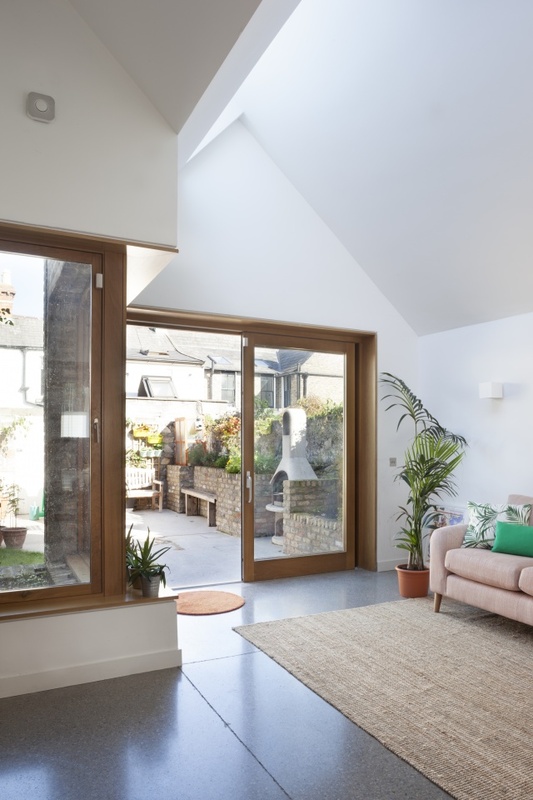 In planning terms the strategy was simple, a new room was added at the rear of the property with a courtyard and link space between the existing and new. The kitchen is placed in the rear reception room of the existing house, with a new opening created from this to connect to the new garden room to the rear. Volumetrically the project is more complex, with a high level roof light over the new living space and interlocking space of bathroom and link space, with a light tunnel from the new rooflight to the landing below. 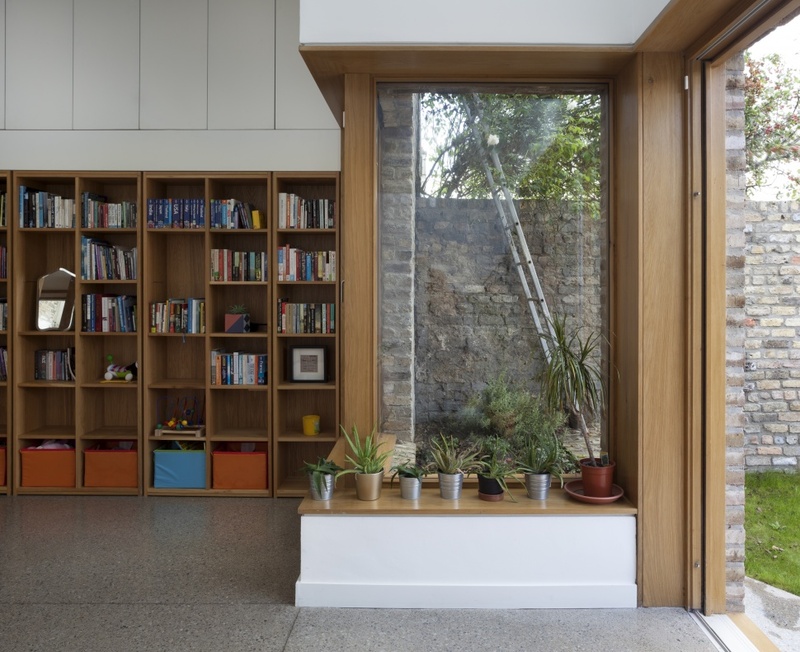 The introduction of the courtyard brings the southerly light, from the front of the house, through to the rear, and the experience of being in the house is one of continuous views from front to back, offering a layering of spaces and light quality. 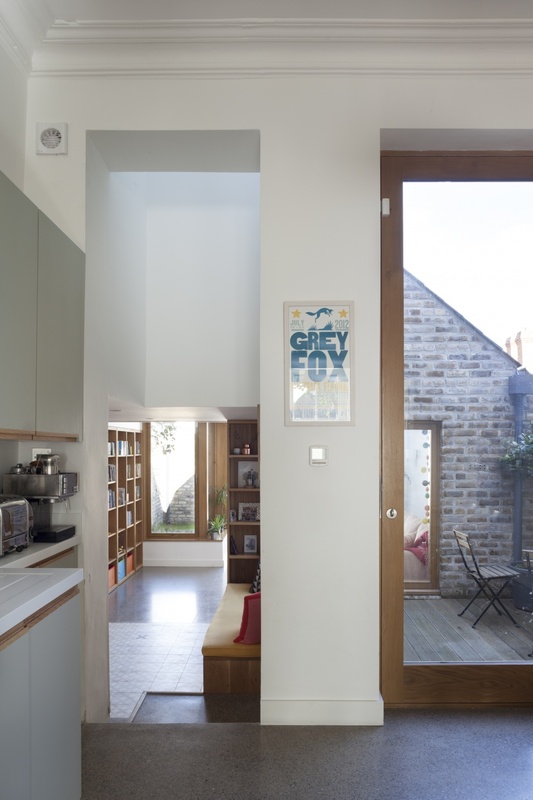 Functionally the link space, with its lower ceiling, houses the utility, but also offers a resting place, with a window seat, overlooking the courtyard. 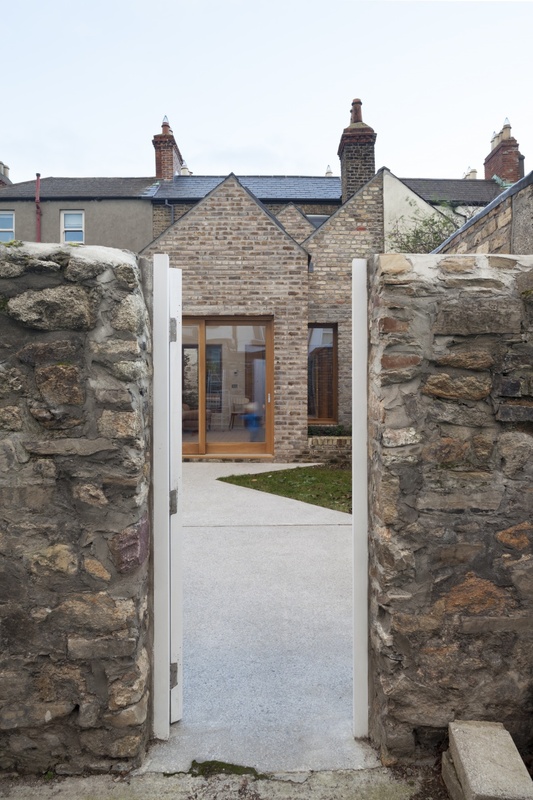 Brick was used on the exterior of extension, the roof is of natural slate, oak is used for windows, joinery and flooring, with a polished concrete floor added in the new build areas. Upstairs there are 3 bedrooms and a bathroom.